TV’s most famous doctor, Dr. Phil, known for helping those in need, called on the experts at DRI when a shoot was in danger due to flooded basement. DRI’s staff responded, cleaned up the basement and even helped the woman find a company to replace her water heater. The taping of the segment went on as scheduled. “Our new motto is, ‘If we’re good enough for Dr. Phil, we should be good enough for you,” joked a DRI spokesman. Dr. Phil’s team gave a shout out to DRI during the show that aired in mid-February. Call DRI and get your cold weather water problems solved! 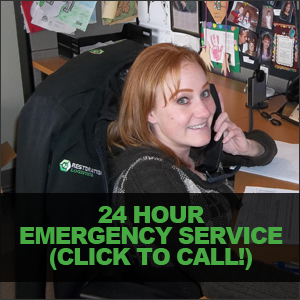 DRI crews are standing by 24/7 to assist you in drying and repairing cold weather water damage. We are Colorado’s #1 water damage restoration company. Working with DRI will save you time and money. Plus, we’ll be on your site in an hour or less! Give us a call at 303-657-1400 or 1-800-475-FIRE (3473) Toll Free. The Annual Colorado Fire Leadership Challenge was recently held at The Keystone Resort & Conference Center in scenic Summit County and Disaster Restoration, Inc. was proud to be involved. In fact, DRI was the only vendor to host a social reception for all participants. The conference drew Fire chiefs, personnel and staff from more than 30 Colorado fire departments. During the reception DRI sponsored two giveaways: one for a package of Omaha steaks and another for a day of golf at The Ranch. The golf package was so popular DRI ended up offering three. Chief Chuck Wisecup from Oak Creek Fire near Steamboat was the winner of the steak package. Fire departments in Littleton, Milliken and Cunningham won the golf outings. DRI also continued its tradition of kicking off its 2011 Scholarship campaign. You can read more about that here. DRI is proud of its public/private partnership with emergency service workers and looks forward to many more years of continued good work. For six years now Disaster Restoration, Inc. has provided scholarships to outstanding children and grandchildren of Colorado’s active fire service personnel. We are pleased to announce that tradition will continue in 2011. To date, DRI has helped fund the higher education dreams of 13 students. In all, DRI has awarded more than $75,000 in college scholarship funds. To apply, find out more about the scholarship or to read about past recipients, please click here. January 12, 2010, 4:52 p.m.: Life is normal on the small island nation of Haiti. January 12, 2010: 4:53 p.m.: Nothing is normal about life on the small island nation of Haiti. Seared into the vernacular on that date and time are words Haitians already knew but seldom contemplated: words such as epicenter, Richter scale and homeless. Now, almost a year after a devastating magnitude 7.0 earthquake tore through the capital (the epicenter was a scant 16 miles from Port-au-Prince), many in the Western Hemisphere’s poorest nation are trying still to put their lives back together. Conservative estimates say the quake affected three million people. The Haitian government reported that an estimated 230,000 people had died, 300,000 had been injured and 1,000,000 made homeless. They also estimated that 250,000 residences and 30,000 commercial buildings, including the presidential palace, had collapsed or were severely damaged. Disaster Restoration, Inc.’s Jamie Bruce spent a week in Haiti as part of a group from Centennial, Colorado-based Christian World Outreach. DRI along with other family and friends generously donated money for building materials, for Jamie and her group to build a house for a Haitian cook and her children and to repair the drainage system at a Christian School. The team also delivered school supplies and shoes for a rural school of 200 children. The sights and sounds Jamie encountered in Haiti left a lasting impression. “Unfortunately, some people have a misconception when they see the rioting that these people just want a handout,” she said. Fresh water is scarce. Jamie and her group went on daily excursions to find bottled water to purchase. She saw street vendors selling chickens with the butchered remains at their feet. Cholera is rampant. If you have a sewer backup or other sewage problem call Restoration Logistics Boulder immediately. If you have a sewer backup or other sewage problem call DRI Boulder immediately. Restoration Logistics is Boulder’s #1 water damage, water clean up restoration co. Disaster Restoration is Boulder’s #1 water damage, water clean up restoration co.